HUB Cycling is a registered charitable organization that is dedicated to building happier, healthier and more connected communities through getting more people cycling more often. Work at HUB Cycling, and be part of the team helping to make cycling an attractive transportation choice across Metro Vancouver. 12 positions temporary. May 27 - June 2 2019. 40 hours. 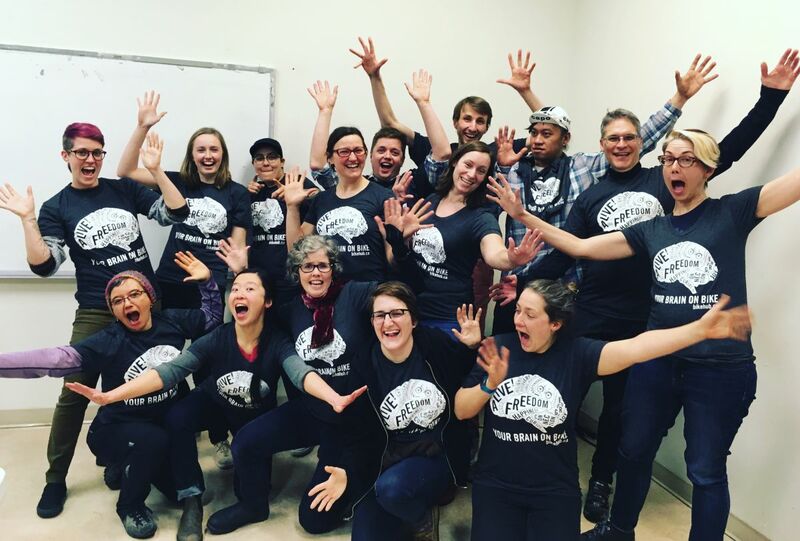 Applications are now open for 2019 Bike to Work Week Coordinators! This year, Coordinators will be supporting both Bike to Work Week on May 27 - 31 and Bike to Shop Days from June 1 - 2. We have 12 temporary positions available. It is a chance to be part of an amazing team while engaging with cyclists and supporting Vancouver’s growing cycling community! If you are interested then please read the Job Description and follow the steps to apply. Sign up for our newsletter and social media to stay up to date with future postings. You can be part of the HUB Cycling team by volunteering just a few hours per week or month. We rely on volunteers of all ages to support our work on cycling improvements across Metro Vancouver using such skills as office administration, event support, data entry & analysis, research, design, public relations and community engagement. To stay connected, follow us on Twitter and like us on Facebook.